When you start up a retro game on an old-school console, what you play will typically look antiquated. But boot up a decade-old game on a PC, and with the right mod, the game in question might look right at home with games released this year. That's part of the beauty of PC gaming. 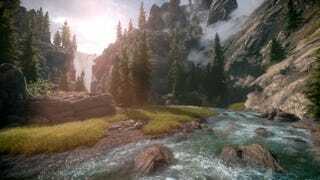 So here's a collection of mods which you can use to make older PC games look visually stunning—not to be confused with our best mods list, which you can find here. Just click on the title of the game to learn more about the graphics overhaul mod for that respective game. And if you have a favorite graphics overhaul mod that we didn't cover here, make sure to show us in the comments!